Italian Armor Column in the Balkans 1942. Goal: Meet and destroy the partisan forces concentrated on Petrova Gora in Kordun between Vojnić and Topuski. 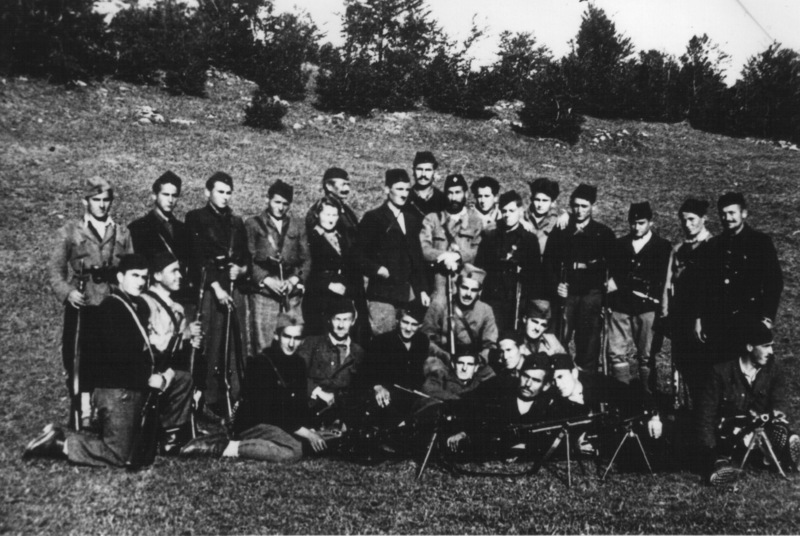 Partisan forces: 1st and 2nd Kordun detachment. 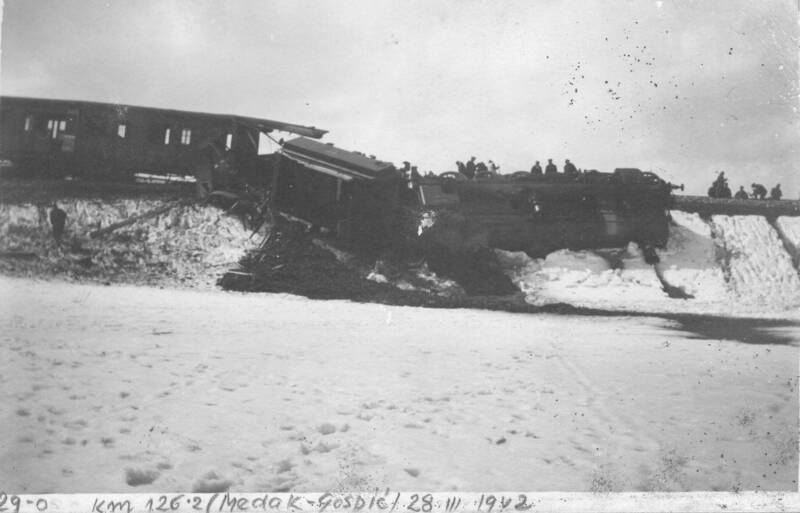 Diversant action on the Medak - Gospić line 28.III. 1942. The month-long operation, guided by Utinjska Brigade was tasked to clean the specified area. The soldiers did not have mercy on either side. 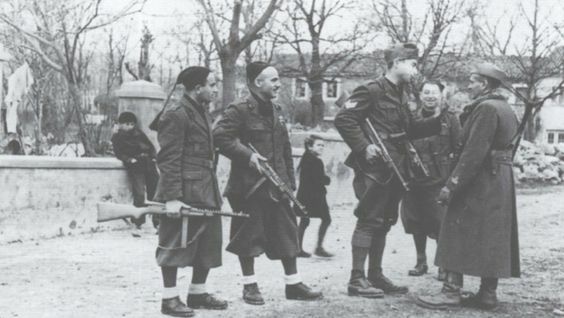 Numerous Orthodox villages in which residents resisted were taken and freed, and participants were arrested. No significant loss was suffered by either side. 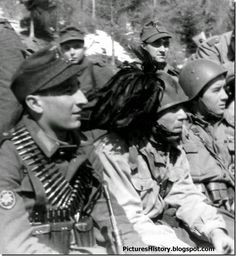 Fighters of the 4th battalion of the First Proletarian Brigade on the Foca - Gorazde road, May 1, 1942. Goal: Assisting the besieged Italian garrison in Bosnia and Herzegovina (NDH). Partisan units are not known. First Proletarian Brigade in Foca 1942. The operation was successful. 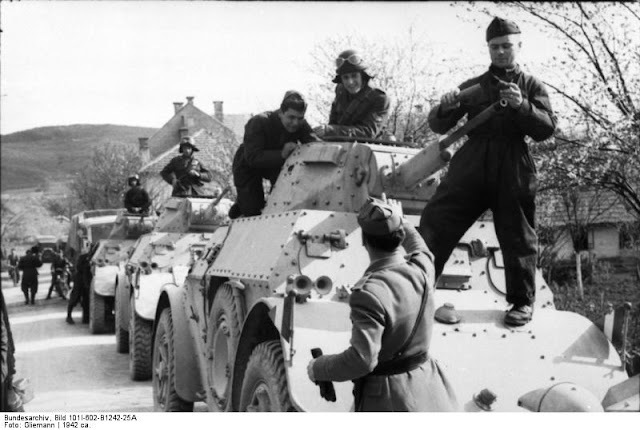 The Italian V. Corps managed to make a breakthrough and assist Italian garrison in Korenica, Udbina and Donji Lapac, all the cities are located south of Bihac. Both sides suffered small losses. Operation "Foca" was a joint operation of the Wehrmacht, the Italian army and the forces of NDH against the Partisans and the Chetniks in the area of Foca. It was conducted from 5 to 12 May 1942. In the central hospital in Scepan Polje (near Foca), a member of the Main Staff of the NOP for BiH and the Commander of the NOP and DV for Eastern Bosnia Slobodan Princip Seljo, a national hero, died of typhoid fever. 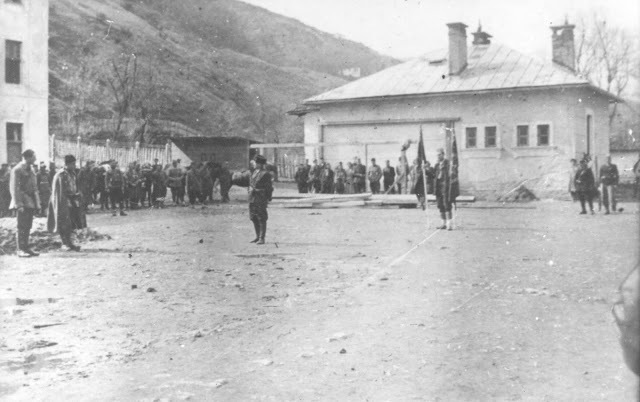 Parts of the Italian division -Taurinenze, with the help of the Chetniks who carried out a coup in Trebevic and the Igman battalion of the Kalinovik NOP detachment, occupied Trnovo but stopped from five battalions of the Kalinovik NOP and the Foca NO volunteer detachment in Kogoj (south of Trnovo). Italian units had losses of more than 100 soldier casualties. In Morine, parts of the Italian division mastered the resistance of parts of Foča Detachment and Kalinovik NOP Detachment and occupied Ulog. Obaljska Volunteer Battalion Kalinovičkog NOP Detachment moved to the side of the Italian unit. 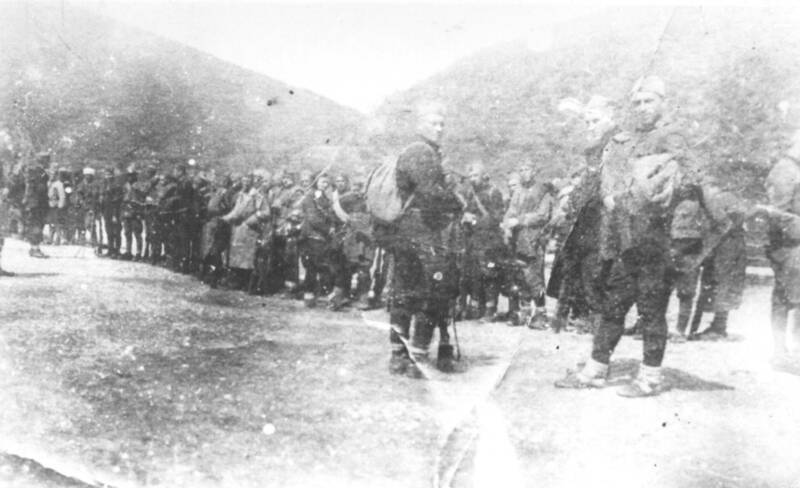 Due to the advance of the Italian units, the Communist Party of Yugoslavia and the Supreme Headquarters of Yugoslavia left Foča and headed towards the village Plužine (near Šavnik Montenegro). Parts of the Italian division -Pusateri-, attacking from the direction of Goražde, took Foča. 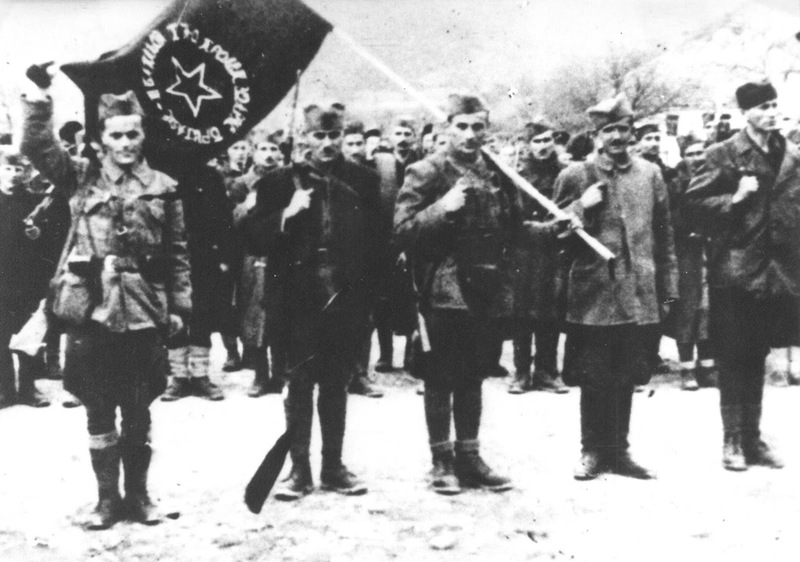 From the city, the Supreme Headquarters of the Yugoslav People's Army and parts of the 1st and 2nd proletarian brigades, the Roman NOP and the Foča volunteer detachment were withdrawn timely. In the village of Drazljeva, the units of the North-Herzegovinian detachment prevented the break-in of the reinforced 52nd Regiment of the Italian division from Gacko to Cemerno and Foca. After three days of fighting, with losses of 9 dead and 22 wounded, the Italian regiment entered the village of Vrbu and burned it.